Court proceedings regarding the criminal allegations begin in June. Officer Chrisman would have completed 10 years of service with the PPD in one month. PSB did not have a completed administrative investigation to present to Chrisman to document the rule violation he was being terminated for. The State’s primary witness is currently part of an internal investigation regarding his veracity in a recent court proceeding. There are currently two PPD lieutenants who have been under investigation for over one year and on paid administrative leave for months regarding allegations of criminal/civil misconduct. 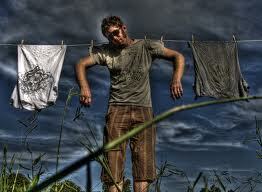 It appears that some get preferential treatment while others get hung out to dry. PLEA will be holding a benefit/fundraiser BBQ at the PLEA office with proceeds to assist Officer Chrisman on Thursday April 7, 2011. Details will be forthcoming on times.